1) Boil the pork belly for 20-30 minutes. While the pork is boiling, mix the garlic, salt and paminta. 2) Cut the pork belly at least 1 inch inside, just enough for the garlic-salt mixture to be inserted. 3) Rub generous amount of the garlic-salt mixture to the pork belly and insert also some of the mixture inside the pork belly slices. 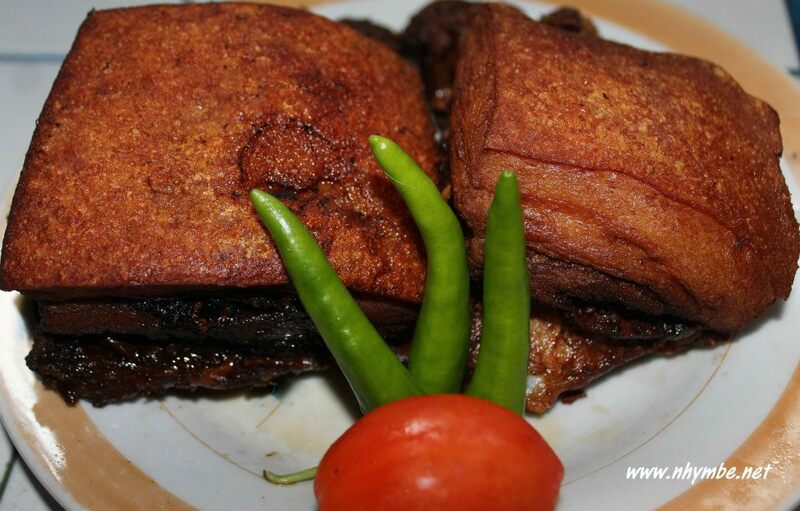 4) Boil the cooking oil then deep fry the pork belly slices for 8-10 minutes or until pork turns into golden brown. To make the pork skin crispy, sprinkle some water (using your hand) 1-2 times to the frying pork belly slices. Do this until the pork slices are done cooking. 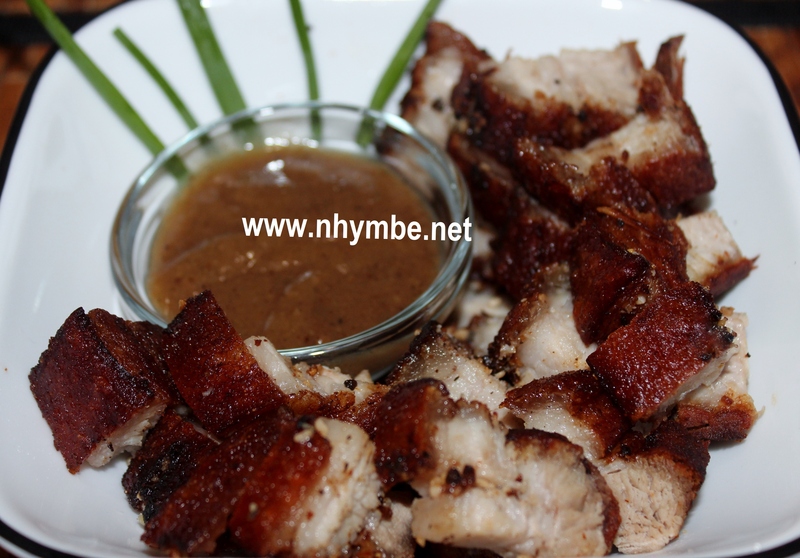 5) Ready to serve with Mang Tomas all-purpose sauce. You’re welcome Paul, please feel free to browse and try some more of my other Filipino recipes. Have fun cooking!